You want to make a great first impression on your friends, family, neighbours and customers. A beautiful and practical outdoor space is the first step to achieving that goal. Dual Group has the labour, resources and experience to breathe new life into your natural landscape. Proudly based in Sydney, we specialise in grounds maintenance for Strata, Residential, Commercial, Industrial and Community facilities. Careful consideration and planning is carried out to provide a grounds maintenance service that suits your landscaping needs. From the use of space to environmental conditions and traffic flow – every detail is assessed to maximise the outdoor space and deliver a lasting professional touch. 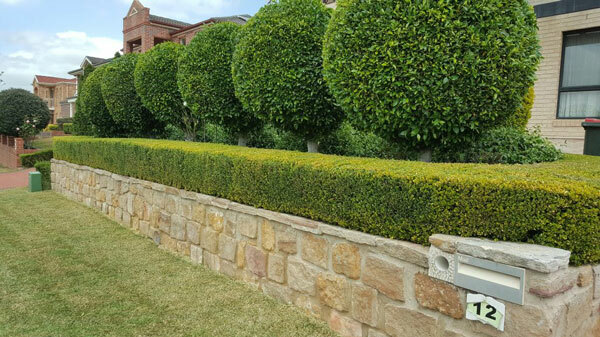 As a team of licensed and insured professionals, we have years of experience in grounds maintenance for Sydney residents. Your outdoor space gets the best possible care from trusted experts who are approachable and eager to address your concerns with a smile. Some companies offer a simple ‘mow and blow’ service – not Dual Group. Along with quality grounds maintenance, we offer preventative tips and measures to protect your investment from various environmental risks. For strata and commercial business owners, you don’t have to take the risk and commit to a contract agreement. If you’re not 100% satisfied with the quality of your grounds maintenance, you can walk away and find a better service that meets your needs. Of course, with a portfolio of successful projects and happy clients, you’ll be hard-pressed to find a more trustworthy, reliable and cost-effective team of local experts. Do you need a one-time mowing job or an ongoing scheduled service? Dual Group offers a flexible service to suit your budget and schedule. If you want to avoid the hassle of booking appointments, Dual Group can provide a weekly, fortnightly, monthly, or bi-monthly service to ensure your property looks its best all year long. For all your property care and grounds maintenance needs in Sydney – look no further than Dual Group. Dual Group will be happy to discuss your grounds maintenance needs and provide a cost-effective solution. For a quick quote, call 1300 303 539 or send your online enquiry.